Celestron introduced their latest mount in January this year. 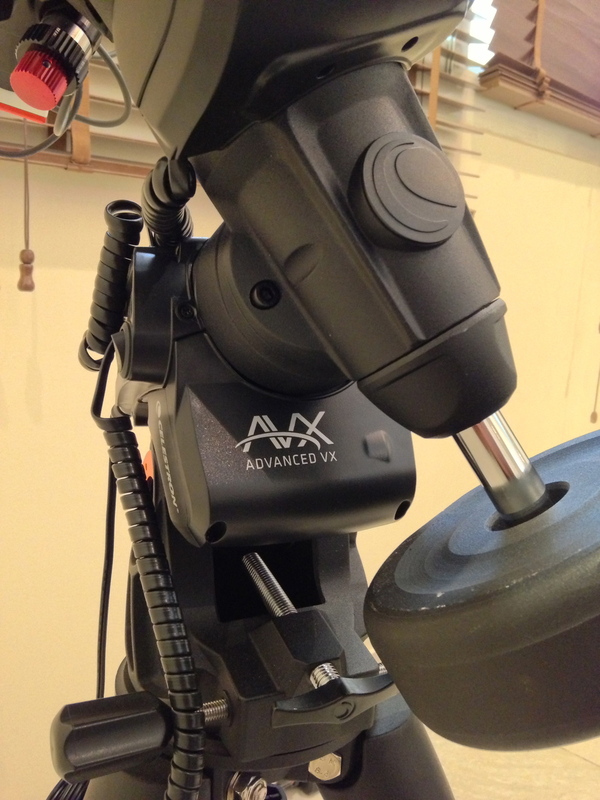 The VX Mount is very light weight, portable and specially designed for imaging. It can track well past the meridian, has permanent PEC correction and with high torque motors it can handle some weight imbalances. 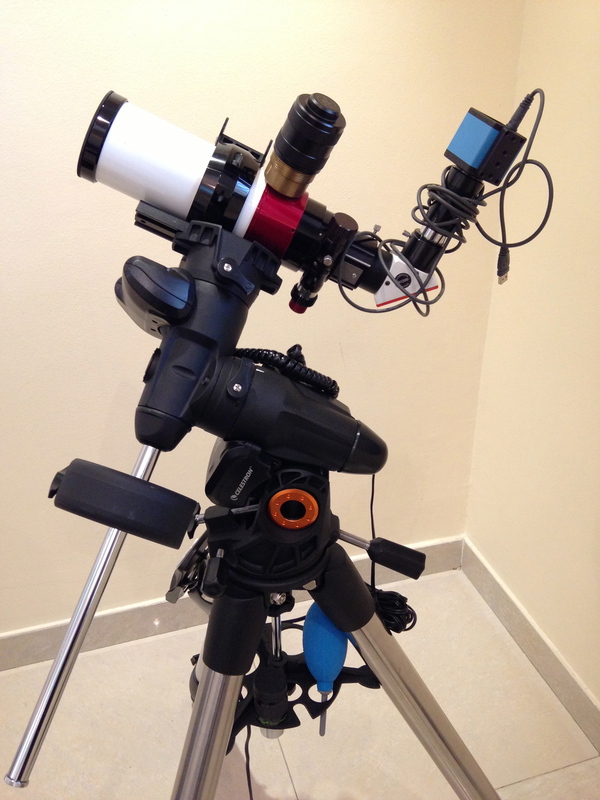 I bought this mount for its portability, light weight, very quick assembly and only for Lunt solar telescope. I received it in March and when setting it up for the first time, made a terrible mistake. With all my 'expert' confidence i attached the Dec cable in Aux port and... smoked the mount! The board was burnt in many places. I had to sent it back to Celestron in USA. It took them a month to send it back. What they did was amazing indeed.. they replaced the faulty mount head with a brand new one and charged me absolutely nothing! 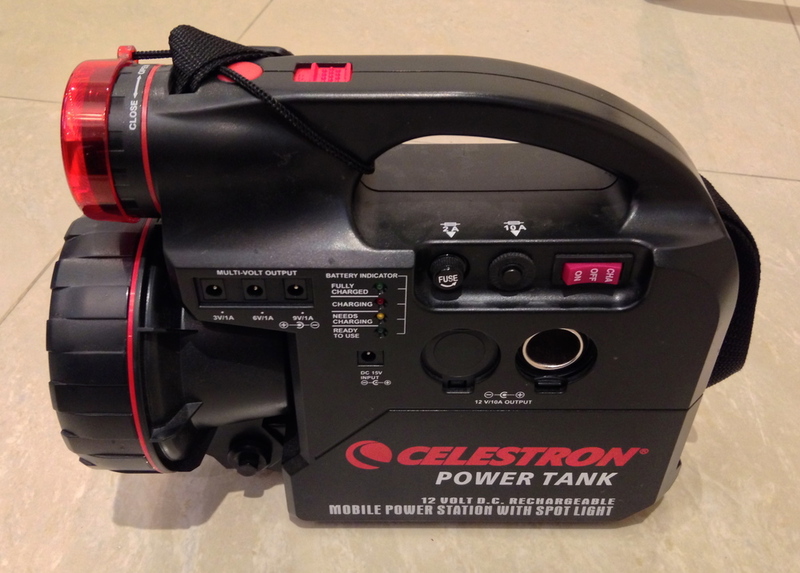 I have also got their Power Tank for portable power supply. I know Maroof will love it. So now i am all ready for solar imaging.. Solar surface is changing all the time and i will make sure to capture it 'all' the time!